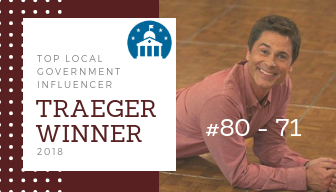 ELGL members can continue the conversation about the Traeger Award in the ELGL Facebook group. Word on the Street: During Susan’s tenure, she has created new connections and partnerships across the community. She has brought the library into the digital age and turned the library into one of the best spots in the community. You’ll know right away after meeting Susan that she is passionate about the future of public libraries. Public libraries need to harness the energy and ideas of people like Susan. Word on the Street: Terry is the President of the Delaware Women Leading Government chapter and President of the City Management Association of Delaware. In these roles, she has helped spearhead new and expanded training and networking opportunities for local government professionals in Delaware. Terry has served as Town Manager for Fenwick Island, DE, City Manager of Harrington, DE and worked for the City of Dover, DE during her career. As a result, this broad range of experiences has given her connections across the state, enabling her to effectively represent municipal interests to other levels of government. Word on the Street: Since 2013, Tom has astutely navigated the tricky world of town-gown relations. He has served as an adjunct professor at Mount Aloysius College in Cresson and has been active in the Association for Pennsylvania Municipal Management, and the Pennsylvania Municipal Management Institute. Tom has mentored a number of today’s local government leaders and his “coaching tree” continues to grow. Word on the Street: Lynn is a Southern California treasure and the literal definition of a Chris Traeger. In between addressing contentious housing issues and all things Community Development, Lynn finds time to offer a hand, open arms, and a shoulder. Lynn is actively involved ensuring that the Local Government profession continues to improve. Her contributions so thus far have had a significant impact on those around her. If you’re attending a conference or training, chances are Lynn had an direct or indirect influence on it! 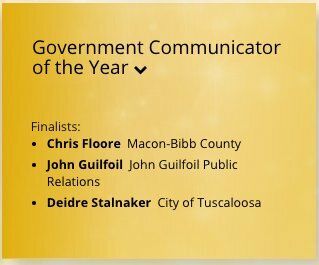 Word on the Street: Communication has never been stronger in Macon-Bibb County, despite ongoing reductions in staff and budget. This past year, we led a communication effort during Tropical Storm Irma (a weather event not seen in our community since 1994) that helped us keep from having any major injury nor fatalities. The communication efforts extended for weeks and months after the storm to help with the immediate response and the cleanup. We earned more than 100 media stories, used Twitter to report and collect information about closed roads, made daily or greater updates via email and social media on response and cleanup, created a storm-specific website that featured all of our partners, produced three feature videos, helped collect information on nearly 1,000 debris piles, created a national award-winning debris collection graphic, and more. Those efforts leading up to and after the storm also led to hundreds of new volunteers trained by the Red Cross to shelter people, donations to the Salvation Army for shelter supplies, and a donation by Goodwill for 500 clothing items for the evacuees. Working with our newest corporate citizen, a large BBQ was hosted for first responders as a thank you for their response, and a $30,000 donation was made to the Red Cross and Salvation Army. A Facebook Live of the check presentation reached more than 1,500 people and was viewed more than 550 times. Follow up posts of media coverage and a photo album reached nearly 4,000 people. Communication in Macon-Bibb doesn’t ramp up just for a crisis. We operate at that intense and fast pace throughout the year. In 2017, we earned nearly 1,100 media stories over 304 days (84% daily coverage), sent 55 e-newsletters and 119 press releases, produced 78 feature videos with 12,000 views, live broadcast 51 events and meetings with 44,000 views, created 7 logos and graphics, had 1.8M pageviews on the website, resolved nearly 15,000 issues (97%), fielded more than 26,000 phone calls, and increased our main social media channels each by double digit percentages. Word on the Street: A dog-loving extraordinaire from Kansas to California and everywhere in between, Kendra’s super power is a unique combination of optimism and enthusiasm. Kendra is able to wield her power to accomplish anything with even the most reluctant of people. 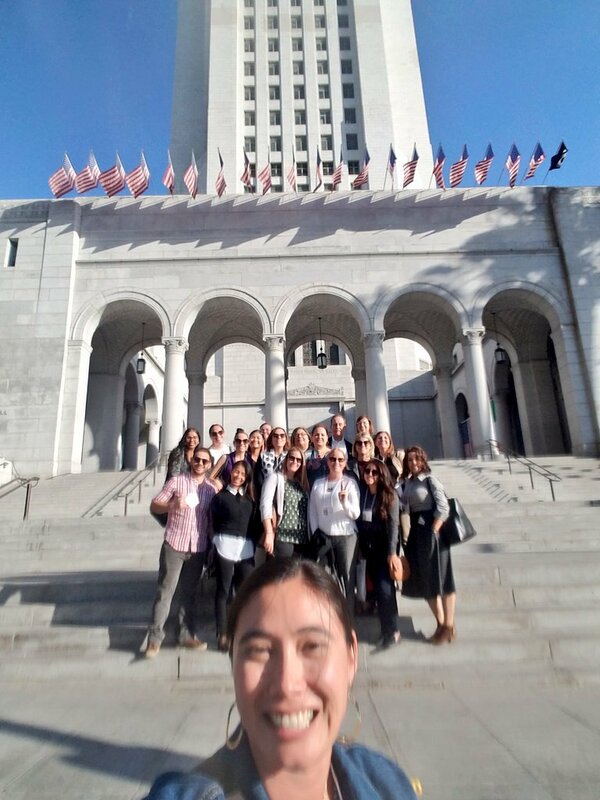 Her passion rang clear at the ELGL PopUp in LA. She joked it would take her a lot of convincing to plan another ELGL event but I can’t wait to attend the next Kendra-led function. I look forward to seeing Kendra on the speaker’s circuit teaching us all about buy-in. Word on the Street: Will is the creative genius behind Round Rock’s innovative communications. Under Will’s leadership, the trophy case in Round Rock continues to grow with seven awards from 3CMA and nine awards from Texas Association of Municipal Information Officers. He was one of the most popular presenters at the ELGL Inspire event in San Antonio. Word on the Street: Zach has become a great mentor and serves as an example as one who works hard, gets an education, and moves up the local government ladder. Although he has been in his new position at Pasco for a short time, his love for local government extends two states and several cities and towns. Zach is one of the most dedicated public administration professionals and this is literally why he should make the Traeger List. Zach has consistently shown a commitment to the profession. He provides a much-needed perspective from Public Works at ELGL. He’s one of the #MWords I look up to!! Word on the Street: This year, Shelby was selected as the new city administrator of City of Pleasant Hill. This was a well-deserved appointment! Shelby is well known as a detailed-oriented leader who brings excellent analytical skills to problem solving. Word on the Street: Behind the leadership of Rebecca, the city of Fayetteville was named the top overall performer by “Governing” magazine in its annual Equipt to Innovate survey. Rebecca was influential in Fayetteville’s approach to strategic planning, how they collect resident input and how they approach process improvement work.